Please check it to see if there were anything wrong with it. ps. 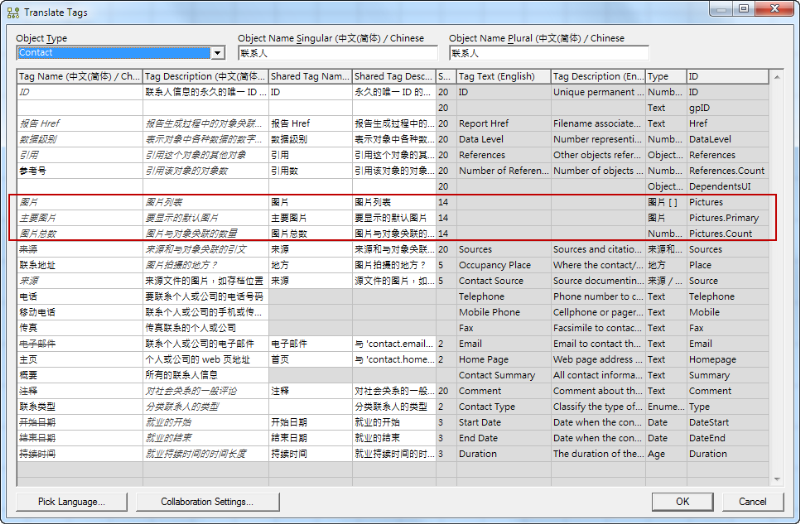 I don't remember the strange looks happened before or after I start to add translation to CN Language.xml. Thank you for contributing to the translation of GenoPro in Chinese. Can you please post a screenshot or tell me which text (dialog, menu, enumeration) gives a strange result? Okay, I understood that some entries are not included in the elements because they are in the common elements like global or fallback etc. 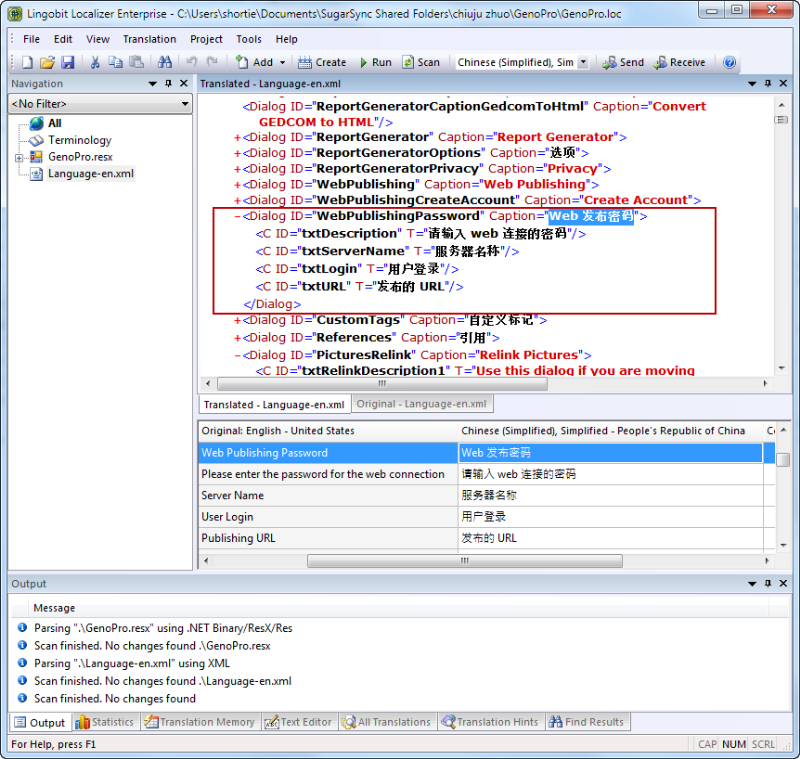 Please ignore my question about the inconsistencies between language.xml files. GenoPro has a mechanism to share translation. For instance, the button "OK", "Cancel" and many others are repeated many times, so the text goes to the "Default / Fallback" section. 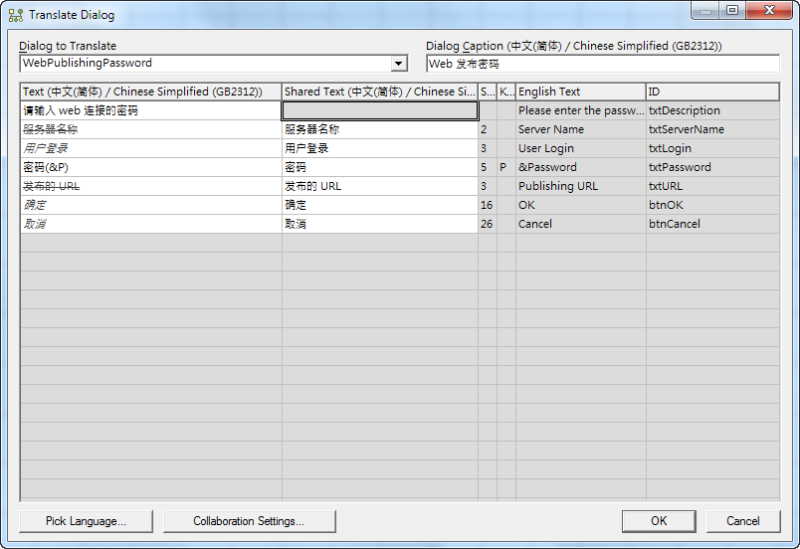 This way, the the text is translated only once and GenoPro displays the localized text every time. You may override a special instance of a shared text. For instance, a button may display "OK", however you may prefer to give a different translated text for a specific dialog. The field txtDescription is not shared because the descriptions of every dialogs are different.